After 4 bladdy years of no gigs Belle & Sebastian have finally gone announced a new tour. Hurray! They swing by the Ulster Hall, Belfast on December 1st and Dublin's Grand Canal Theatre on December 2nd, lucky us! Tickets for the Belfast gig are £27.50 and are on sale now. But don't go buyin' em all on me, as I have to save me pennies! 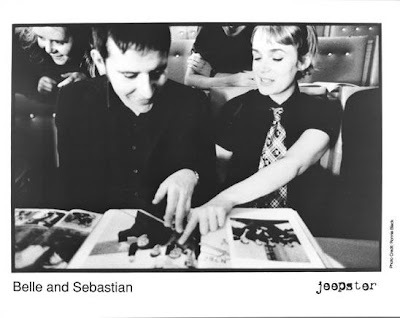 'Legal Man' was the first song that made me aware of Belle & Sebastian's existence. I remember hearing it one summer as a bored 16 year old courtesy of BBC NI's Across The Line (the song, not the boredom). It was the grooviest mutha of a song I had ever heard and I've been a sucker for all things Belle & Sebastian since. Jouer le clip "Belle and Sebastian - Legal Man"